5 Visual Search Engines you may not have heard about !! List of 5 top Visual Search Engines which present information in a visually appealing picture rich fashion. The information is presented in the form of maps or in form of a sliding picture show or a 3D graphical view.All of us are pretty familiar with the simple austere look of Google and Yahoo search engines. Microsoft Bing is more colorful but result pages remain sober. Now take a look at the below mentioned five visual search engines to find how differently they present information. 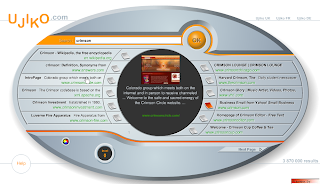 It may be in the form of maps or in form of a sliding picture show or a 3D graphical view.These search engines also show us the way in which we may be searching information in future. Note: All these search engines require Java and Flash supported browsers and all are quite heavy,so a fast internet connection is recommended to view them. 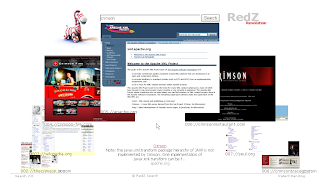 Redz presents you with a sliding thumbshot gallery where you can scroll through the results with main result thumbshot shown on top with description underneath. 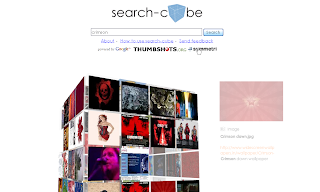 Search-cube offers you a 3D cube with images of webpages pasted on all sides.Cube can be flipped and page description is shown in a side panel on mouse hover.Cool animation makes it an interesting exercise. 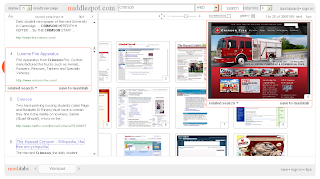 Ujiko is a device shaped search engine where middle screen shows you the webpage image with descriptions in the side bars.All functions are presented as buttons and there is a lot of that machine-guy feel using this engine.Try it to see the fun yourself!! Tianamo is a 3D graphic renderer searchwhich is in beta phase. 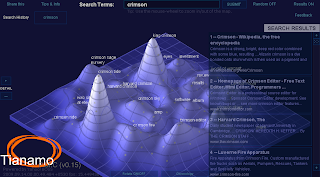 Its resource intensive and shows you a neat 3D graph with peaks representing the importance of webpages. See it to get a hang of it.It’s really geeky! !All these Visual Search Engines give you results in a new way but right now you will find them just amusing.Also, though some of them are powered by Google search, effectiveness of results is one thing that these engines have to pay real attention to. Meanwhile, enjoy the information in an aesthetic way to sooth your senses in this age of info overload. A visual Search for News from none other than Google. Thanks for the tip vbb.